A common mistake to make is that client satisfaction and client loyalty are positively correlated i.e. 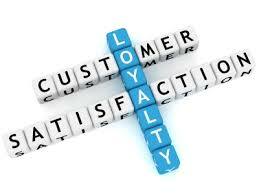 that higher the level of client satisfaction the higher the level of client loyalty. Working in a harder and more competitive environment often results in businesses focusing on marketing and selling to get new clients. While continuing to bring in new clients is necessary for a business’ survival, so is keeping your current clients loyal to your firm. It means that fewer clients are loyal to you than you think. It also is likely that your perception of the real situation as regards your clients’ loyalty is significantly over-optimistic. For example, a legal firm that equates client satisfaction with client loyalty would assume, on the basis of the above numbers, that 50% of its clients were “loyal”. The reality is that of this 50% of “loyal” customers over half are likely to switch to another provider. This means that only 25% of the firm’s clients are loyal – it has over-estimated the number of loyal clients it has by a factor of two! This has a significant on its ability to maintain and grow business, and the strategies and plans it needs to have in place. In all likelihood, because people do not realise this, the firm will probably be following the wrong strategies, and this can be put the firm at risk. As the competitive environment continues to intensify, it’s likely that other firms are marketing more aggressively to your own clients and, as this data suggests, a good portion of your clients may be open to having these switching conversations with your competitors. Why do we make this mistake? It is because people confuse the two concepts of satisfaction and loyalty. The difference is like that between “like” and “love”. Let’s look at them separately. Client satisfaction is a tactical concept and measurement, and it speaks only to one moment in time – typically, right after a client has completed an interaction such as a purchase or has a problem solved. So measuring customer satisfaction merely tells you if you are doing your job, from the client’s perspective. Clients express satisfaction in an intellectual and rational manner. In doing this, it makes people think. Many organizations should be performing up to their customers’ expectations. This is really just the basics. While these days consumers are in the driver’s seat, the mindset tends toward “what have you done for me lately?” as opposed to “that transaction went well so I’m a customer for life.” Thus, good customer satisfaction does not guarantee that you will continue to keep those customers. How many times have you bought goods “satisfaction guaranteed”, yet gone to another product or provider even though you had a good or even excellent experience? All of us have done so at one time or another. This is a much more reliable and strategic measure. True loyalty – much harder to earn than mere satisfaction – tells you that your customer wants to stick with you over the long haul and that they will share that feeling with others. 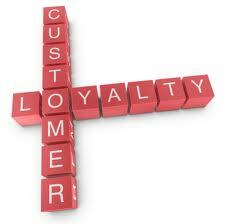 Loyalty derives not from “good” transactions but from exceeding the customer’s expectations on a repeated basis. Loyalty engages your client emotionally and makes them want to tell others about their experience of working with you and your relationship. As such, emotions make people act! It is much easier (not to mention more cost effective) to retain and grow your current clients than it is to continuously have to fill the pipeline with new prospects. It is enough to get people to think, you need to get them act. You need to engage them both intellectually and emotionally. Have a look at your existing client base and assess their level of satisfaction. If you are not sure, then use this as an opportunity to ask them for constructive feedback, listen and learn. Then begin to think, from their perspective, whether you have done enough to earn their loyalty – be specific about what you have done or not done as the client perceives it. Do this individually and then come together as a group to discuss your scores, perceptions and to share insights. So, what does it take to build the type of relationships with your clients that keep them loyal and coming back to your firm year after year? We look at the 9 questions you need answered in next week’s blog. An executive coach is not a silver bullet for your problems. But what do you need to do before you engage an executive coach, and to make sure you get the most out of your time with them? Coaching is a two-way process and dialog, based on open, honest communication and a strong commitment to self-improvement and learning. It requires effort, discipline and humility – on both sides. 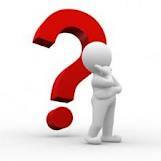 But the question to ask yourself is are you ready to be coached? Unless you are willing to change, and are committed to doing so, then no coach can help you. Before a coach can help you, you need to help yourself so you in turn can help others. It is like being on an airplane when an emergency occurs – the first instruction is for you to put you oxygen mask on yourself before you help others. So you need to be willing to change before any other change can take place. Change starts with you, not with others. Even if we think that we want to change this is not always true. The human capacity for self-deception is well-known. We can rationally believe that we want to change, but unless we are emotionally invested in changing it will not last. Logic makes people think, but emotions makes people act. We often overestimate our capacity to change ourselves. Even in situations which can be life-threatening our resistance to changing ourselves. Studies show that, when giving up smoking, it takes on average seven attempts and five years; and that half of those quit on New Year’s Eve start smoking again within ten days. This is despite the overwhelming evidence and availability of information on the risks associated with smoking. Research has shown that compliance, when you are responding to a demand, incentive or threat only works in the short-term. As soon as the pressure is removed people revert to their original behavior. This is because we are not motivated to change – motivation only comes from within yourself, not externally. Demands, incentives or threats are there to make you avoid something. Commitment comes from within you because you are personally engaged in achieving a personal change. This is the only way of maintaining the change for the long-term and on an on-going basis. As such commitment comes from your beliefs and mindset. 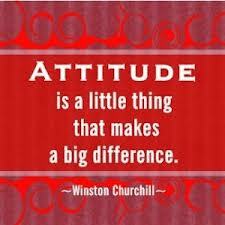 However, a mindset is not just brought into being. It has to be developed – you need to view the change as an opportunity and not a problem; to see the opportunity to grow the pie rather than seeing it as of a fixed size where others only gain if you lose and vice-versa. When it comes to a breakfast of eggs and bacon there is a major difference – the chicken is participating, but the pig is committed. 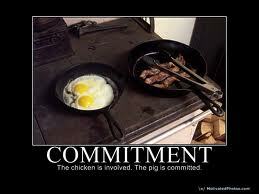 Which are you – the chicken or the pig – when it comes to the coaching process? You need to be invested in it and have skin in the game. Do you really want someone to coach you and to be candid and honest with you? Or are you looking for having you ego stroked and lots of unqualified encouragement? If you are the latter then don’t hire a coach – save your money and don’t waste the coach’s time. Coaching will do nothing for you unless you are willing to change. Be clear on whether you want to be coached or not, what you want to achieve from the process, and whether you are committed to it or not. It’s up to you. Why middle-management is essential for business survival and the risks you run of if you lose or alienate them. Middle management. Often described as the ‘backbone’ of the company, they provide the continuity across the business and the key people for getting things done; communicating and resolving problems up, down and across the line; translating strategy into action; leading key operational areas; have considerable expertise and experience within the business; providing linkages between senior executives and front-line staff; and are implementing and responding to change. 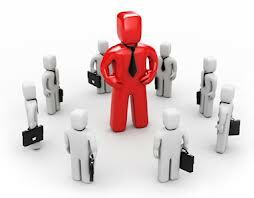 As such, middle management is crucial to the on-going success and survival of the business. Senior executives are starting to appreciate their role and the impact of their work, but at a time when it becoming harder to develop and retain middle management. In a recent poll by Lane4 in the UK (July 2012) more than 90% of workers believed that the vast majority of workplace stress was falling on middle management, and two in five (39%) of middle management reported that they were under severe stress. As such, many mid-level managers are dissatisfied and would like to leave their current organization. In harder times it is those middle managers who are your best and who perform well who find it easiest to find new roles and new opportunities. 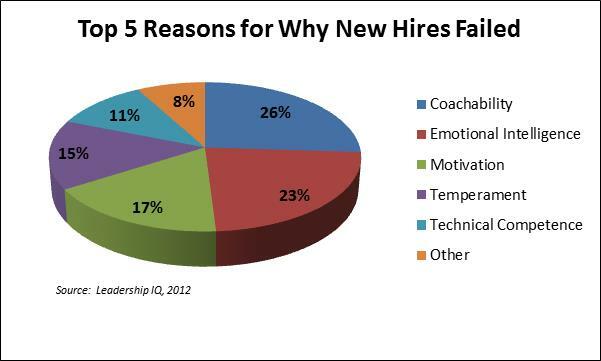 This has several impacts on your business: firstly, the business will lose its top middle management talent, this will put an increase burden on those who are left behind; secondly, the exodus of mid-level talent seriously compromises the business’ future leadership pipeline and its ability to have the right people in the right place to enable the business to grow and develop in the future; and finally those mid-level managers remaining will be the low-performers, who are more likely to be disengaged and who have “quit and stayed”. All of this means that business’ ability to survive and thrive – especially in challenging times – is seriously compromised. One of the current major growth challenges facing CEOs is the lack of key talent to enable them to grow the business. This is exacerbated with the turnover of good mid-level manager as it compromises the business’ ability to execute the CEO’s strategy and drive results and outcomes. Furthermore, the costs of middle management turnover are also high. A common rule of thumb is to assess the cost of a middle manager to the bottom-line at one-and-a-half to two times their annual salary. Assuming an average salary of $125,000 then this could mean $250,000 off your bottom line. Alternatively, look at it in terms of the extra revenue you need to achieve just to stand still – assuming your net profit is 10%, then that is a further $2.5m of revenue required! Practically, I think this heuristic is conservative. Once you take into account the corporate knowledge, experience, expertise and insights that have been developed over a number of years you are looking at the loss of a very valuable contributor. 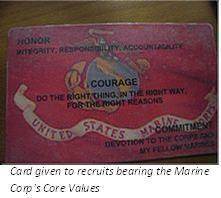 Furthermore, to recruit someone who is an equivalent is both difficult and expensive to do. Middle management is under increasing stress for a number of reasons. They are the people who have to lay off staff when the company downsizes (or more cynically “right-sizes”), in an environment of poor morale, having to do more with less, with little or no increase in salary or benefits whilst being responsible for more, a reduced opportunity for career progression, dealing with people who like them are worried and scared, and frequently being seen as an “unwanted layer” and at a high risk of being laid off themselves (often having had to lay off others first). In challenging times we need to maintain our middle management. In economies which are struggling the senior executives need to work with and engage with their middle management even more closely. It is at the mid-levels that the most important projects are, and reducing their resourcing is nigh on suicidal. If the level of responsibility for middle management is extended, and their capacity and resources is limited or reduced, then you need to invest in their developing the necessary capabilities. If this is not done then senior management will be faced with a “frozen” middle management compounded by cycles of low morale and low engagement. Companies need to be resilient – leaders need to provide clear direction, they need engage the middle management and rebuild trust, and in doing so enable them to engage with their reports and teams in turn. If you cut out the middle, then you are just left with the head and tail of the business – unable to do the necessary work effectively, and a corpse all but in name. It may seem counter-intuitive but now is the time to invest in your middle management – this will pay off in terms of loyalty, results and longer-term growth. Treat your key people as an investment, not a cost to be cut but people to be valued, developed and through whom you can achieve leverage and significant returns.